With the passing of yet another console generation, there remains a significant demand to play older Mega Man titles on modern machines and digital platforms. Let's be honest here; those Anniversary / X Collection discs are starting to show their age. The time for a modern collection may be upon us. "Nothing to announce or tease at the moment, but I've definitely taken note of - and passed along - the desire for a modern collection. Those 2004 / 2006 discs are getting pretty old at this point and I'd love to get those games out to a new audience - plus give people like us an excuse to play them yet again :P"
Hey, count me in. I'd much rather invest in a single collection of games (with extras and the like) than continue paying for the same individual games over and over again. And sure, emulation will always be an option. But for those of us seeking a legitimate means to procure and play older titles on today's hardware, a new official collection is very appealing. With that said, what's your take? Would you like a new collection? Or would you prefer more titles released individually? Mind you, Capcom have little to no control when such titles hit the Virtual Console (not sure about PSN). That part is all up to Nintendo, for better or worse. Yes. Someone at Capcom is using their head. Even if it's only a Classic and X compilation, it'll still be better than nothing on retail store shelves. However, if they throw a bone to some X titles and fine tune hitboxes, controls and enemy health+damage players complained about in some cases, then these collections could really shine. Hell polish up 6 and 7 to a higher standard and people would love you for it. Would have been a sensible 25th anniversary project like Street Fighter got. The only real drawback from the Megaman Collection games from the 15th anniversary is the controllers. Gamecube. Xbox. PS2. None of them were adequate for playing Megaman games. If they were to do another collection, more than anything, I would want a jam-packed Megaman museum in the game. Art galleries. Rockman TV commercials. Music libraries... And include Megaman Soccer with a finished ending to Story Mode. I found the PS2 controller to be the closest thing as far as "playable." I'd pay for a Battle Network collection, but I already own several copies of the originals. I'd feel very little inclination to buy them yet again, especially when I would be supporting Capcom's latest habit of not making new Mega Man games. They better include PC as a platform this time. If not, I kinda hope whoever is responsible dies because of it. Seriously, there's no legitimate excuse. Why not? Also playing Mega Man on a Gamecube controller is a nightmare. Also I would love to see a Battle Network Collection. I dunno. So long as they don't butcher things like last time (looking at you, Mega Man 7 credit roll), I'm for it. It'd be nice if a classic collection included the Saturn version of Mega Man 8, either as the sole version or as an alternate version. And maybe the Japanese versions of the games, too... Why not? All versions of the Anniversary Collection (PS2, GameCube and XBOX) ran emulated ports of the "RockMan Complete Works [PSone]" for the classic series (1-6). Therefore, they were your typical CAPCOM port-of-a-port additions. SNES emulation for 7, and yet again, PSone emulation for 8. Although, it would appear they used a special type of PSone emulation of MM8. That said, I sincerely doubt they have misplaced any source for any of those emulation cores, but I could be wrong (Mega Man Mania :| ). As for 9 and 10, same deal - not much time has passed since their development, so I'm sure they still possess source code and assets for those games, as well. With all that in-mind, it would be rather simple for a small team of CAPCOM devs to do something good. While they're at it, I hope they can manage to include the bonus material from the Japanese version of RockMan 8. The RetoN5 is always an option when it comes out next month. The collections that need to be made are an HD X Collection featuring X7, X8, Command Mission, and a voucher for MHX. If they wanted to tune up X7 a bit, that would be a welcome effort. Second is a Battle Network collection. Throw 'em all on one 3DS cart. Multiple saves a plus. Also, a slick little 3D mode to make the network areas have depth as well as the battles. That'd be pretty great. To reiterate my last statement: it would be good for the older cartridge-based Mega Man games. Now a collection that brought both the Classic and X series games in one spot would be fine. Capcom, that means you don't cheap out and stick in download codes for Mega Man 9 and 10 along with all the DLC. You put them IN the game disc. You know what would be cool, A legends compilation of 1, 2 and the tron bonne spinoff. That would be the bee's knees. but of course this is capcom we're talking about. Capcom can't. Something about legal contracts with the voice actors in Legends 1 prevents them from reselling the game in the US. It's actually nothing to do with voices like most fans believe but with images contained in the code. "Sorry, but to my knowledge the legal issues are with copyrighted iconography (logos etc.) in the games, and potentially also music. The voice acting may also present an issue, but I haven't heard that mentioned explicitly within the company. To knowledge, those problems are still present in the JPN PS1 games, and the problem content was actually removed when the games were ported to PSP. " I think they could port the PSP versions (which one of the PR people on ASK Capcom said don't have the "issues" affecting the game) to consoles with an all new voice cast would be acceptable but where would that leave the Tron Bonne spinoff? I believe the problem was actually a soft drink that made a cameo in the game from the vending machine, and since it's copyrighted and all, they would have to pay more money to keep it in. It's easier to change it, but the issue here is that games released to the PSN cannot be changed. Whatever that was changed in the PSP port was because it didn't have those same rules as the PSN. If Capcom were to make another collection release, preferably one over retail, then they shouldn't have those problems, they would be free to change things accordingly. The YAG building is the larger culprit. It's a real university in Japan. The PSP ports omitted it, though. Interested in a full collection of any Mega Man Series games. If PS3's Blu-ray disc can hold every title released (Classic, X, Legends, Battle Network, Zero and ZX) it would be a dream come true. 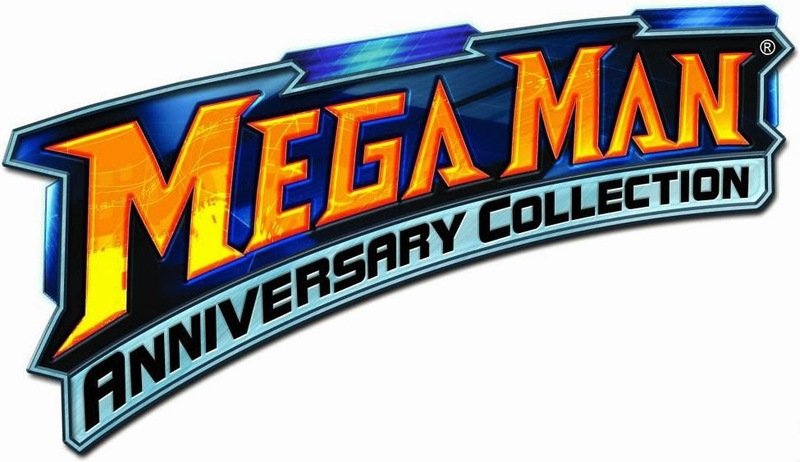 A digital release of Mega Man Anniversary Collections would also be ok. However, I would not be that much interested in buying all games individually. I have done it for 9 & 10, though on PS3. I wouldn't mind at all and welcome it with open arms, as long as they don't mess up the control buttons like they did in the Gamecube version. That really took the enjoyment out of playing. I always welcome the preservation of classic games. If we're going to get a Classic collection, it would be great if the Gameboy titles could be included. Same for the X series. Those titles aren't really playable to me right now. I'd be fine with them just putting the remaining games on the VC and PSN... but if they DID make a new collection, I'd hope they double-check the sound quality (The X Collection was way too quiet). Keep the Navi system from Complete Works and Anniversary Collection and include versions of it for 9 and 10. And give us the option to slide and charge in those games, because seriously. Maybe redub 8, if it's possible? It's in dire need of one. Working in the Saturn bonuses and fights with Cutman and Woodman would be appreciated, too. The hype has already shifted to the spiritual successors like MN9 and Gunvolt nowadays. In MMX Collection, X6 and X7 should be unlocked, cause we would not want the newcomers to start by those and think the other games are similar, right? :P And X5 due to Alia being annoying, unless they make it optional like X6-X8. All 12 X series games can easily fit in one current gen disc, and it would still have space for tons of extras, like both the SNES and disc versions of X3, original and new modes (like Xtreme 2 with better translation in new, and the original with "Lavatory"), customizable controls (seriously, this is one of the problems in MMAC. Good think MMZC had it), art gallery, instruction booklets, sound test, game commercials, language selection (English/Japanese voices and/or text), etc. And it would be cool to have an extra mode were you can use several weapons from other games, like the Wily Tower from Mega World. But knowing Capcom, I'm not expecting something like the Sonic and Kirby collections. I get the feeling Sonic might be getting another collection this year, ASSUMING Taxman and Stealth are able to work on S3&K, then releasing it, 1,2 and CD on a disc....or take a cheap way out and do a download bundle. Speaking of which, they still have yet to release the Sonic 1 and 2 remakes on consoles. How or why Sega of America thought making those mobile phone-exclusives was a good idea is beyond me. Seriously, there's just no logic behind that. The demand for console ports is overwhelming. That'd probably why they are waiting to see how S3&K pans out and if they are able to due it, mostly stemming from MJ's involvement in Sonic 3. IF 3&K gets the Tax/Stealth treatment, we'll see all three of them on consoles. I'm still waiting for X8 to be available on Steam. i want my dash/legends collection! and it would be nice if new collections have optional dual audio like x7 did. At this point, if you haven't gotten ahold of those Collections by now, you simply were never gonna get them to begin with if they were to make a "new" version now. They're stupid cheap now. I'd much rather them do a Network Collection or something of that sort for 3DS with online play, all the cut content brought back and other nifty engine fixes. Your first paragraph makes no fuggin' sense. What are you even trying to say? You do realize that you can't play the old Collection on current systems, yes? And the first collection was far from complete, anyway. Also, 9 & 10 exist now. Stupid cheap, yes; but enjoy playing them on that new PS4! This is something I would actually like to see. So yes, I think a new Mega Man Collection would do good. Slap in some new 3D graphics and I'll be fine. But I'd be even better if Legends 3 gets released. This would have been a great idea for his 25th anniversary, but even then it just feels like playing and paying for the same games over and over and over and over and over again. It would be cooler if they did a classic series collection powered up style with at, least 1 - 6 all in one game, but that's work. Idk capcom just lost all faith I had in them. I can't even trust the concept of a collection from them. Meh. I couldn't care less to be honest. I still have my PS2 plugged in and sitting beside my PS3 and 360. If anything would make me buy a new system it'd be the original gameboy games on... guh.. it'd be the 3DS, wouldn't it. Heck, I kept my copy of X6 just because it had the Japanese voice over. I am always in favor of preserving classic games and making them available for the current generation, so I'd love to see something come down the pipeline even though I already have the old collection on hand from last decade. here's a suggestion that i would love and i bet you guys as well: Classic, X, Legends and all console MM games collection for consoles (i.e. WiiU, PS3, 360 and next-gen), while Battle Network, Star Force, Zero, ZX and all handheld MM games collection for Handheld. Nah, that's lame. Just have EVERY game on EVERY system. I'd be willing to pay good money for that. NO NO NO! Sonic X Mega Man, PLEASE! No No No! Astro Boy X Mega Man, PLEASE! No no no! Lego x Mega Man, PLEASE! No No No! Megaman X Mega Man X: Maverick Hunter, PLEASE! I've Got It! Mario X Kirby X Sonic X Megaman X Shantae! If this truly means that we won't have to deal with Nintendo of America's crappy release schedule when it comes to Virtual Console titles, then I'm all for another Mega Man collection being made. Seriously, it was announced nearly a year ago that the next six Game Boy titles were going to appear on the 3DS eShop, and it still hasn't happened. While Japan already has all seven, America (and Europe) has yet to even add Mega Man II, even though Dr. Wily's Revenge has already been available for almost three years. Kinda lame, to be honest. I still have my PS2 and my NES. Capcom needs to stop re-living the glory days of the past and make something new. Although, if they had remastered graphics and music I'd say I'd be interested. Capcom and making something new in 2014 means social mobile game. Isn't Sonic AND Megaman in Smash Bros. (Coming 2014) Enough? THIS! And NOT a mobile game. How about a Wii U compilation of unaltered/emulated MM1-MM7, Saturn MM8, Wii 9 & 10 (with all DLC add ons), and MMI-MMV (the later with the original Super Game Boy features). How about one HD collection? And also include the original games, either available from beginning of unlockable like Metroid Zero Mission. I Want Sonic X Megaman! my xbox is a prissy little prick when it comes to the internet, I really would love to see a physical release on 9 and 10..
Do we get to hype it up like last time and get horribly depressed when Capcom fails to deliver features that may or may not had ever been planned? X HD Collection would be day one buy.